Why Your Business Needs An Inventory Tracking Software? Inventory tracking software or inventory management software, is a computerized system used to track all types of inventory, from the materials that are used to make the end product, to the retail product itself. Singapore companies of all sizes and types rely on inventory management software not only for inventory tracking, but also for sales tracking, purchases tracking, shipping functions and more. The efficiency and speed of this software, allows for businesses today to order supplies more prudently, ensuring they will never be overstocked – as well as, know instantly when an item is sold, and that they need to make or order more. Inventory tracking has been a top business concern for hundreds of years. Even before the advent of technology, business owners needed to track the number of widgets made and in stock so they could complete their orders. They needed to track how many chickens were in stock, so they would not run out when the customers made their weekly shopping trips. 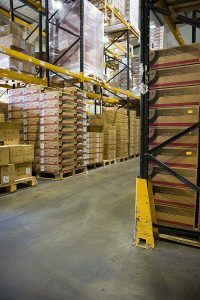 The difference between inventory tracking then and now – it was all done manually then and now it is computerized using an inventory management system. Currently, there is also online inventory management, which is especially useful for salespeople, who are always on the go and hence need online inventory tracking to know the latest available inventory level for them to conclude their sales succesfully. Order Control– ability to track thresholds, and minimums and maximums for ordering, are all features of inventory tracking software. This provides ease in order management and prevents businesses from running out of product or purchasing too much and wasting capital. Asset Management – this allows the complete tracking of a product from warehouse production to retail shelf. Knowing where your products are in the process will help in fulfilling orders and preventing shortages. Service Inventory – even service oriented businesses can use inventory tracking software to track materials used when supplying services to their clients. They can even alert their billing department when a material used is billable to the client. Product Lists – in today’s technology, tracking products is easier than ever. With barcode technology and wireless methods, your inventory can be up-to-date 24/7. You can easily view the product list via the system. 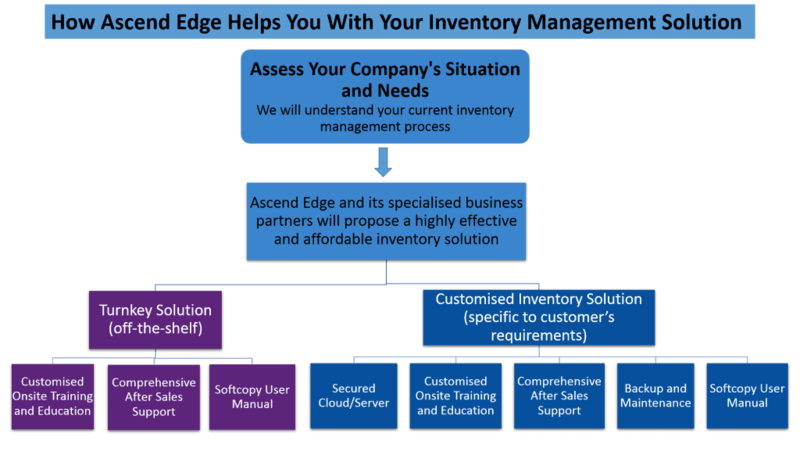 The advantages and benefits of using an inventory tracking software for Singapore businesses are endless. QuickBooks Online in Singapore, with affordable monthly fee, can help you track and manage your inventory effectively. An IRAS compliant accounting software, it is easy to use and has the mobile app version, which allows you to manage your inventory on the go, saving you time. It allows integration to other apps, if you require a more robust inventory management system or if you want to sync your inventory level in the e-commerce websites to QuickBooks Online. With a secure backup, you need not worry about the backing up your data manually, making this a cost effective solution for you. In addition, there is no need for you to pay additional fee for updates or upgrades, as it is already included in the monthly fee. MYOB Premier Plus , offers Powerful Advanced Inventory Tracking Features. The software caters to Multi Currency-Transactions, Multi-Users, Time-Based & Tracking and Payroll. We offer personalised training to help you be familiar with using this program. Our customised inventory management system includes cloud inventory management system.We will have a detailed discussion (no obligations) to discuss your current inventory tracking process and recommend solutions to address your company’s needs. By integrating your inventory control system with your accounting and billing tasks, you will decrease employee entry time and increase cash flow. With all of your business data in one location, you will be able to better manage your inventory and make more accurate and time effective decisions regarding all aspects of your business. In addition, the time freed up can be channelled to better use, for example in charting out business strategies to increase sales and boost profitability. Contact Us now to ask about using our comprehensive inventory solutions today! Check Out The 5 benefits you gain when you purchase from us!